Google says autonomous cars will be available "relatively soon" and people will accept them in their lives faster than some observers have expected. "It's not coming until we're confident about your safety," said Ron Medford, director of safety for Google's Self-Driving Cars program and former deputy director of the National Highway Traffic Safety Administration (NHTSA). "It'll be relatively soon but we don't have a date to put on it. It'll be a gradual rollout. It's not going to be replacing the 265 million vehicles on the road in a day... Over time, it will roll out and acceptance will come faster than many people might believe today." He added that he expects the arrival of autonomous cars to have a dramatic effect on our lives. "Look back 100 years at when we made the transition from horses to cars," said Medford. "Now getting rid of the driver will have the same kind of impact on our society." Medford was speaking at a symposium on driverless cars at the Johns Hopkins Bloomberg School of Public Health in Baltimore on Tuesday afternoon. He was part of a panel that took on topics including autonomous cars being hacked, how Americans will feel about giving up driving and the next big challenges to getting driverless cars on the road. Another issue they tackled was how autonomous automobiles can affect overall traffic safety. Mark Rosekind, NHTSA administrator, noted that 94% of crashes are caused by human error or bad choices, like driving drunk or driving when sleepy. "If we keep doing the same stuff and expect we'll eventually get to zero [traffic fatalities], that's not going to happen," said Rosekind, who moderated the panel discussion. "Zero deaths on our roadways is the only acceptable target... Changing human behavior is really hard. We have to look for new tools. Technology clearly is one of those tools." Nat Beuse, the NHTSA's associate administrator, said, though, that he worries the next big challenge for autonomous cars will be a negative public perception of them. He asked: How will we decrease traffic accidents using autonomous vehicles -- which won't be distracted, drunk or drowsy while driving -- if people are too afraid to buy them? "People wouldn't buy a car nowadays without an airbag but say they should have an automatic emergency braking system and they say, 'Why would I need that?' " said Beuse, who added that just last weekend his own father said he doesn't want a driverless car. Medford, though, said people will be drawn to the technology once they see it can be safer, and more convenient, than driving themselves. "When you can truly not pay attention, that will be big," he said. 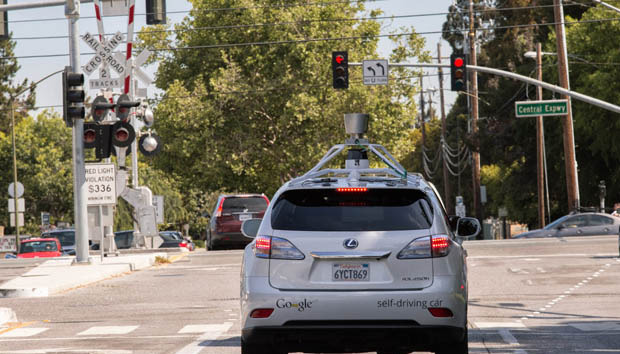 "We need an understanding that there will be autonomous vehicle crashes. Perfection is not realistic." Everyone on the panel agreed that it will be critical for people to be assured that hackers can't easily take over their car and force it to speed down a roadway or crash into a tree. There's no one way to build a safe system, but developers need to keep cyber-security paramount when working on autonomous cars. "We have actually tapped into automated vehicle systems," said Chris Gerdes, director of the Center for Automotive Research at Stanford University. "A lot of the hacks have come through the entertainment systems. It's not always great when everything can talk to each other. You see a growing awareness of this in the auto industry but this is clearly something that needs to be addressed with the best standards of cyber security you see in the software industry." Medford said that's a huge focus for the team at Google. "We take it seriously -- and dealing with cyber attacks is something we deal with every day," he added. "We're doing some challenging testing on it... Every day something new comes up that you hadn't thought about or understood."